Ready to Awaken Your Intuition? Tap into Your Psychic Abilities? 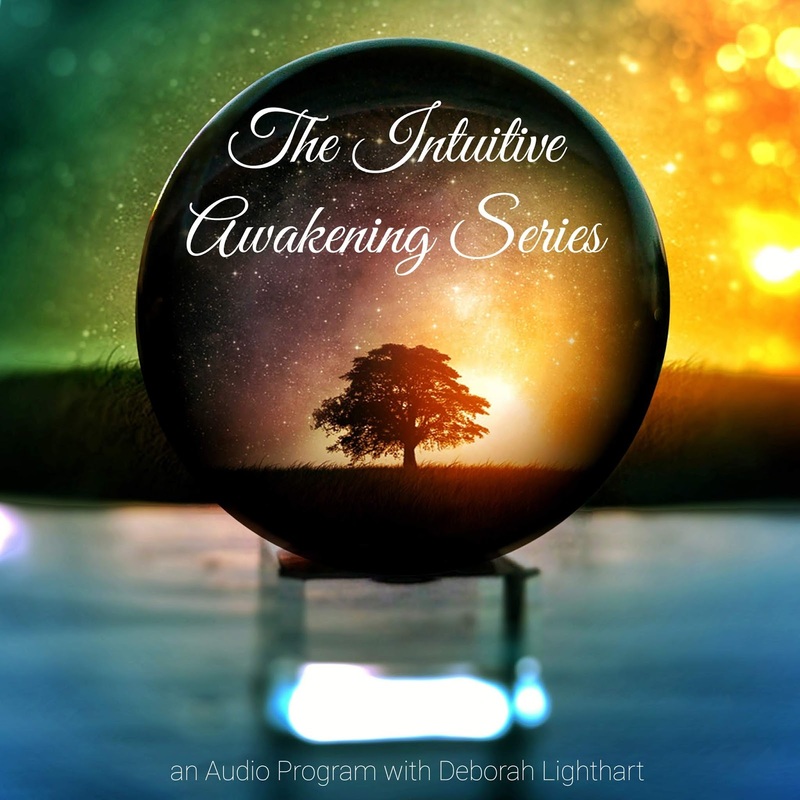 Please Join Energy Healing + Intuitive Reader, Deborah Lighthart, for this audio series of recorded classes and energy healing sessions designed to help you Access your Inner Psychic! 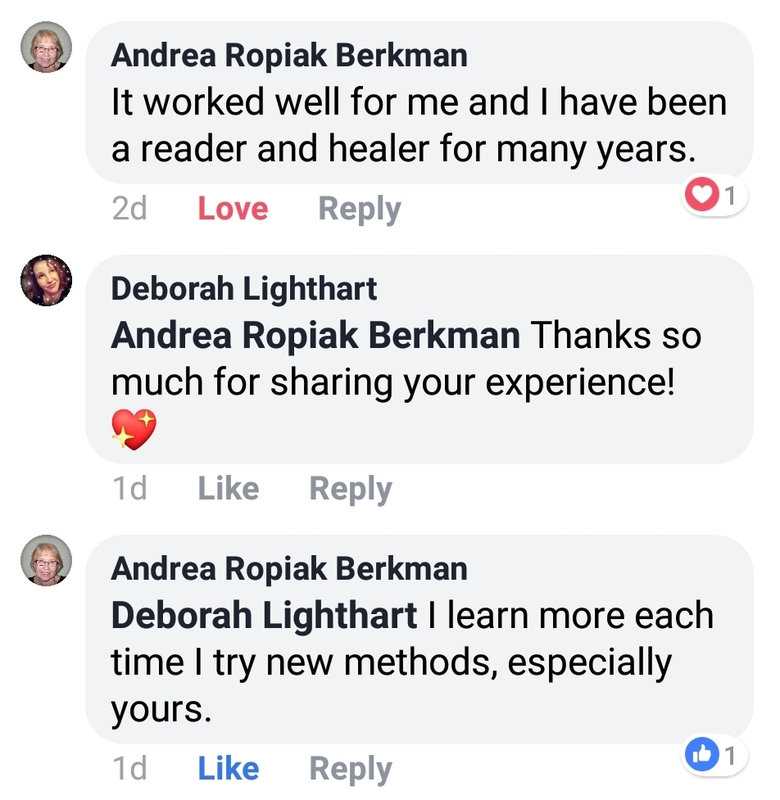 Deborah has been a professional intuitive reader and energy healer for over 20 years. Having read for 1000's of people from all walks of life, she has gained a wealth of wisdom to share with you to help you awaken your intuition faster and easier than ever.You'll learn inside tips and techniques to release your emotional blocks and subconscious barriers, as well as receive energetic support to achieve the higher vibrational frequencies needed to align with your divine inner wisdom. This series combines easy, energy-shifting techniques like: Guided Meditation, Energy Healing, Reiki, Spirit Messaging, Breathwork, Conscious Awareness Questions, Aromatherapy, Crystal Healing, Sacred Sound, Shamanic Journeying, Gentle Exercise, Mudras, Mantras + more. By bringing these techniques together, you will be able to shift the patterns and programming in your body, mind and spirit all at once. This allows you achieve results faster and more effectively than ever. This program may not be for everyone. Some people may not be prepared for the rapid energetic shifts or be ready to release their emotional baggage. Some may just not like the process. For this reason, I want you to be able to try this program first, to see if it's right for you. You don't need to join a mailing list or enter any credit card information. There is NO Obligation whatsoever. Just click on the FREE 1-HOUR AUDIO CLASS BELOW and If you like it, you can purchase the rest of the program at the top of the page. PLUS several other BONUS Tracks! "I have never experienced the sense of peace and renewal as I experienced during my first ever energy bath. When the call started, I wasn't really sure what to expect and I was a little nervous about the whole thing. 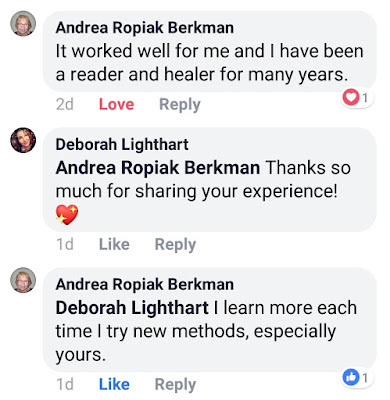 As Deborah began the audio webcast, I had a few thoughts spinning around me and I just wasn't sure how this whole ordeal could possibly work....with the catastrophic power outage 2 days before, canceling the first launch....what was this night going to bring? Also, we had a lot of people sitting on phones, staring at their computer screens (and screen saver if you're like me) and it just seemed strange that all of us would be able to connect together listening in on the audio broadcast. Then, Deborah gracefully stepped in and seemingly anticipated my anxieties as she began talking. It felt like she was in the room with me. I had my Indian Rose Absolute oil going in the air diffuser and a candle, and as we started the session for the energy bath, I could feel all the frenetic energy dissipate. My eyes were closed as Deborah spoke, and I touched my forehead with my fingertips. Then, as she said to envision connecting upward, I shot straight into the night sky, and I was looking down at the earth. It was so clear with no clouds below me. At her suggestion, I reached out and connected to something unseen that became a blinding white light and then the light shot back down to the top of my head. Luckily, Deborah suggested that the light was slow and like gentle water right before the light touched me and that's exactly what the light became. The color I had felt was a hot orange color. I began breathing it out and breathed in a cool green color. Then, it shifted and I wanted to breathe out the green and replace it with deep purple. Fast forwarding, when our angel or spirit guide was to step forward, a young boy stepped forward for me. He seemed to be about 10-12 years old with blonde hair. I thought an angel should look like a strong warrior for some reason, but I pushed that thought away because perhaps the spirit/angel thought this would be the best way to introduce himself to me. I smiled at him and I was so excited that he came forward. Then, I was following him and he led me to a grassy hill. As I looked around there was tall grass that was all around me with fields of lavender gently dancing with the wind I did not feel blowing. There were trees far off in the distance at a perimeter all around us. The boy looked back at me and started laughing, he ran, and I chased him. The hill changed underneath us like it was rolling waves in the ocean and then we started walking again. I was so happy and peaceful I did not want to come out of the meditation. I quick asked him his name before I left and I thought he said Charles. That name doesn't really seem like an angel name...I'm not sure if I heard him right. I can't wait to see him again. The rest of the evening and the next morning, I felt a calm that I have never felt before. Thank you Deborah. That was magical.